We round up the latest Liverpool news and transfer rumours on Friday, as the Reds prepare to face Bournemouth at Anfield. Hugely impressive figures, especially having spent £190million. The boss on good form at Melwood ahead of Bournemouth test. Will the influential midfielder feature in the Champions League latter stages? “Shout your soul onto the pitch”. The young centre-back is expected to feature in the spring. Can the Cherries end Liverpool’s long unbeaten home record? Nathaniel Clyne cannot face the Reds on Saturday. 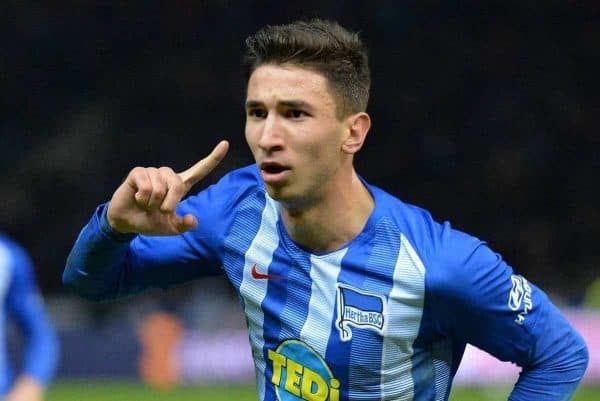 According to Bild, Liverpool and Hertha Berlin have held talks regarding extending Marko Grujic‘s loan spell in Germany. The Serb has been in impressive form of late and the idea of keeping him with Hertha for another 12 months appears to be a decision that benefits all parties. Liverpool sporting director Michael Edwards was in Berlin to watch Grujic in action against Bayern Munich on Wednesday. The Reds’ on-loan midfielder will be hoping to impress on Saturday afternoon when Hertha travel to Borussia Monchengladbach for a Bundesliga clash. Liverpool find themselves at their most challenging point of the season following consecutive draws against Leicester and West Ham. 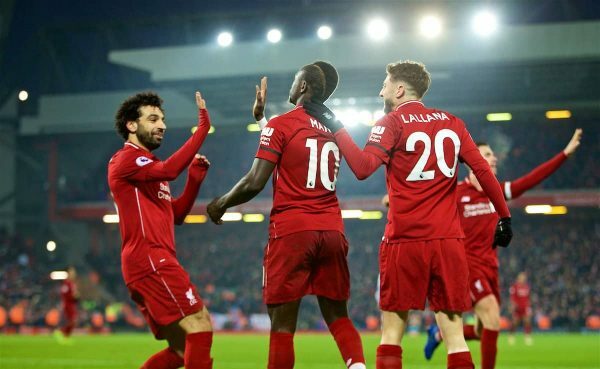 It is vital that a close-knit squad stick together and inspire the Reds’ title charge – something Adam Lallana thinks the Reds are well-positioned to do. “We do things off the pitch together, we fight on the pitch for each other and that’s really what is special,” Lallana told LiverpoolFC.com. “We’ve lost together, we’ve lost a Champions League final together, and moments like that make you stronger. It’s a marathon, not a sprint and there are always going to be little hiccups, positive moments, bad moments, injuries, illnesses and suspensions. 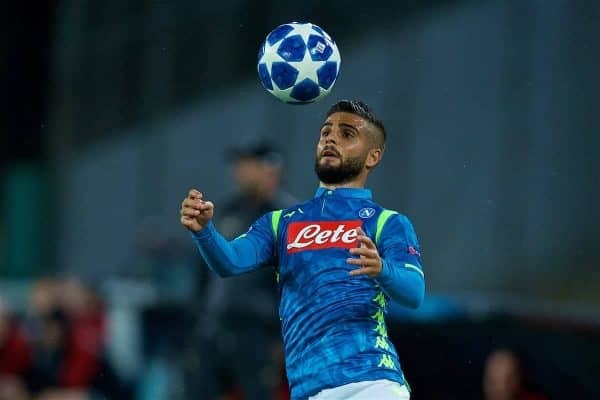 Lorenzo Insigne is one of the best wide players in Europe, acting as Napoli’s talisman – and scoring the winner against Liverpool in the Champions League group stage back in October. The Italian will not be without suitors if he ever chooses to leave his boyhood club and football communications consultant Ian McGarry believes the Reds have asked about his availability. “I’ve spoken to some people that I know at Liverpool who said there was no bid,” McGarry told The Transfer Window podcast. 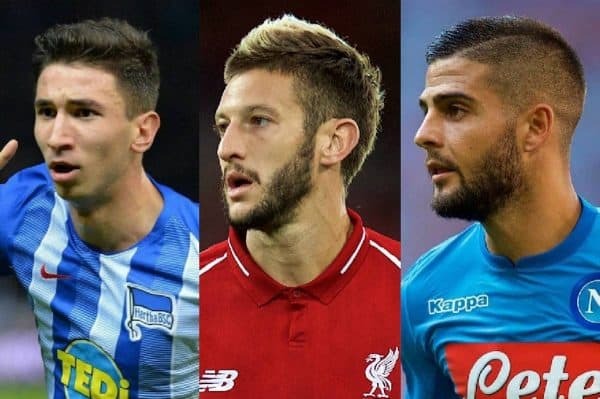 Liverpool have been linked with adding quality in attacking areas and Insigne would be a fantastic signing. Don’t read too much into it though at the moment. Inside Futbol claim that Liverpool will have to pay £45 million to acquire the services of Sandro Tonali this summer, should Serie B table-toppers Brescia earn promotion to Serie A. The 18-year-old midfielder has been compared to Andrea Pirlo in style and is considered one of Italian football’s brightest prospects. Brescia owner Massimo Cellino, formerly owner of Leeds United, will demand big money for Tonali, with Chelsea, Juventus and Inter Milan also believed to be interested. Roma are in pole position for the time being, however.